Every cyclist should ride with a camera. Let me repeat. Every cyclist should ride with a camera. A couple of years ago, I was riding in Burbank down Magnolia properly taking the lane to avoid the door zone. While there was still a lane next to me to pass, a driver simultaneously gave a long honk and buzzed me as he went by. I raised my hand in objection and the guy decided to pull over. This person was complete angry and ready to defend his actions. He said I didn’t know the law and that he was a cyclist himself, which were two obvious lies off the bat. This was premeditated assault and there was very little I could do without proof. Of course, the camera I purchased prior to the incident arrived the next day, but now this man was free to terrorize someone else. I don’t have the expertise or the backing like a CNET to tell you technologically which camera to buy, but there’s something more important: using it. I’ll still use the GoPro Helmet mount from time to time. My first camera was a GoPro Hero 3+, a gift that I thought would make everything right. Heck, everyone was making cool videos with it then so could I, right? I purchased a couple of GoPro mounts to go on my handlebars and within a month, both cracked on rides. At least I can credit GoPro for making a durable enough case that my camera survived bouncing on the ground. Seeing the futility, I then went to buying a helmet mount, damn how silly I would look. I was getting neck crinks, the battery life lasted under two hours and deleting files was time consuming. I became less and less motivated to use it until I took it off altogether. Life remained unrecorded until I got a couple of products through working with Finish the Ride. 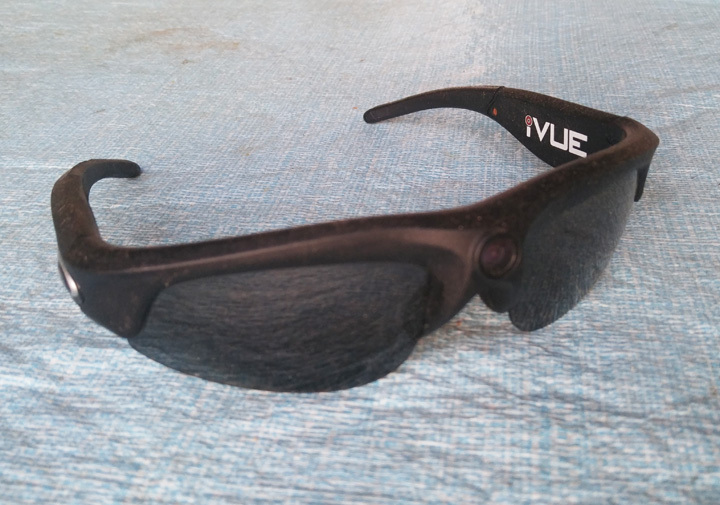 The first was an iVue camera, which was seamlessly integrated into a pair of sunglasses. They were troublesome to wear at first, because of the added weight, but after a couple of weeks, I was well used to them. I found them to record only about 75 minutes on a charge, the picture quality wasn’t fantastic at 720p, but I still wore them for every ride because of the convenience. Unfortunately, they didn’t last more than two months and all I could think about was that Mitch Hedberg joke, where escalators don’t break, they just become stairs, except I now had sunglasses. My iVue escalator! I mean sunglasses. The other product I got was the Fly6, a rear facing combination of camera and light that easily comes on and off. It also shoots at 720p with a semi average quality picture, but it has such a super long battery life, I can’t even remember how long it goes for. It would come along with me for every ride as it easily detaches between bikes. It worked great and even caught a law enforcement agent who stared directly into at as a car buzzed me(the officer didn’t issue a ticket). Then, after six months the camera mysteriously stopped recording. I tried new cards, updates, read a number of tech blogs, but nothing. Basically, it’s the same Hedberg joke, but now the punchline is I have a rear light. More about the Fly6 later. A lot of time passed and while I saw friends experiment with the Garmin VIRB and a number of other cameras, I was pretty disinterested because of the hassle. It wasn’t until January when my friend became a news story for posting a video of him being assaulted that I took notice. Without footage, this would just have been another he said, she said, but since the driver’s actions were so blatantly captured on video, it looks like a cyclist may actually get some justice. This is what got me back into the camera game. I wanted to get back into the camera game, but I knew I couldn’t go back to the status quo. I didn’t need something that was good quality, but was easy to use, had a decent battery life and didn’t put too much of a dent into my wallet. B & H Photo always seems to have the best deals(I’ll let you know when those endorsement dollars come in) and scanning their large inventory I came across the Drift Stealth 2 for $69.99. 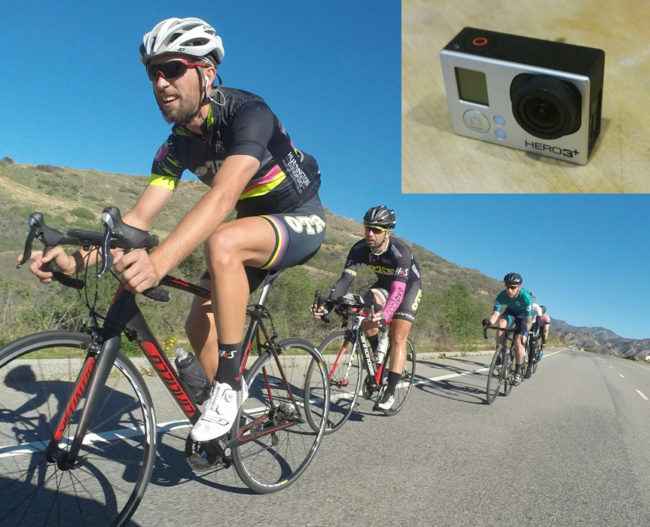 Years ago before I was a cyclist, I bought a GoPro knock off for $40 and pretty much got what I paid for. Looking at these reviews, at least the Drift had been priced at $200 at some point. The knockoff I bought at full price. I purchased the Drift along with a twelve dollar 32 GB memory card and figured it was worth rolling the dice. At the same time, I purchased a $4.99 K-Edge knockoff mount for the Drift and looked ready to go. History repeats itself. I should have known by now that five bucks was only going to get me something plastic. The picture was super shaky and it cost me solid video yelling at Taylor Phinney the day after taking one of my KOM’s. 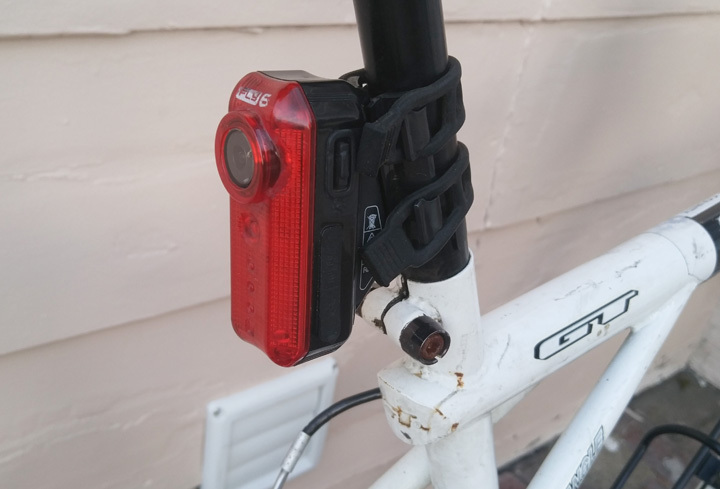 I scanned ebay and snatched up a K-Edge camera mount(no Garmin) for only $15 which arrived just in time as its cheaper brethren snapped. From there, my Drift camera became pretty functional. The picture was good, I love the rotating lens(once I figured out which direction was up), records at about 2 1/2 hours at 1080p and is pretty easy to charge and take on and off. My only problem has been deleting files, which I’ve circumvented by reformatting the sim card. My Drift Stealth 2 Camera mounted & ready to go. 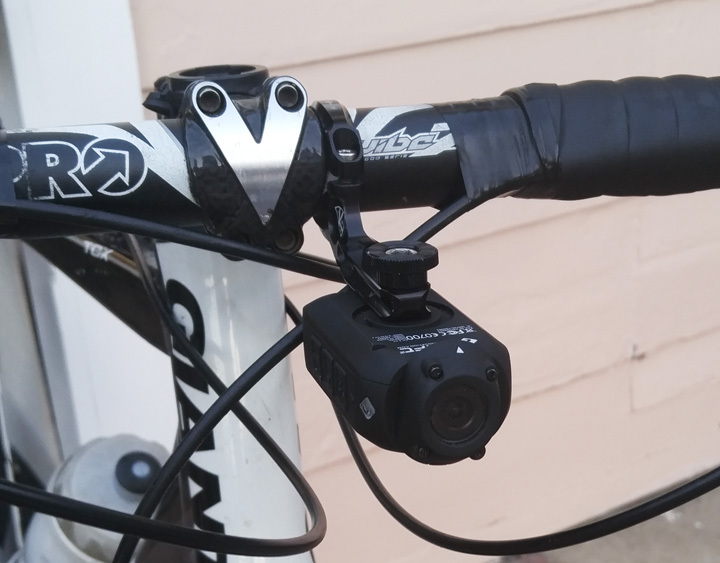 I ride two bikes, so I bit the bullet and bought another mount that also attaches to my Garmin for $50. May seem like much, but it eliminate a lot of hassle. To reward reaching zen, my Fly6 decided to start recording again after a year. It’s got to be karma. The last consideration was dealing with the Stealth’s battery life. Sometimes I go on 4-5 hour rides and there’s no way I’m going to recharge the camera in the middle of it. At least with the GoPro, I could carry extra batteries along. Then I did some math. That’s two ready to go Stealth cameras for a hundred dollars less than getting same recording time as a GoPro. Plus, it’s easier to swap out the Stealth than the battery. I not only bought one extra Stealth camera, but a second one that I’ll have mounted to my car because s happens while driving too. So far I’m pretty happy with my current set up, although I wish there was something more palatable that would mount to your helmet. In the end, I can’t tell you what works best. It’s a pricey game to pay and for the non-technically included, it’s a tough one to throw your hat into. At the same time, it’s too costly to ride without one. I’m kind of amazed with how many cyclists I know have been victim of a hit and run and a camera would have helped them get justice. My cameras don’t make me safe, but it does buy a little piece of mind. Cyclists Getting Buzzed on Purpose?